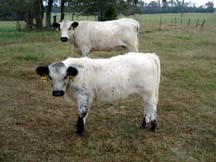 These beautiful British Whites are Gearld's own herd. 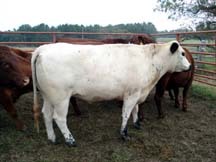 Animals can be purchased separately but Gearld would rather sell the entire lot entact. 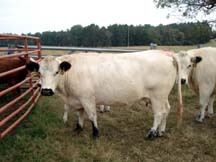 Purchasing the entire herd will result in discount pricing. 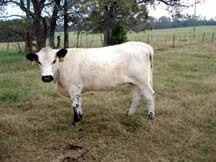 British Whites fit Gearld's requirements for gourmet gress-fed beef. 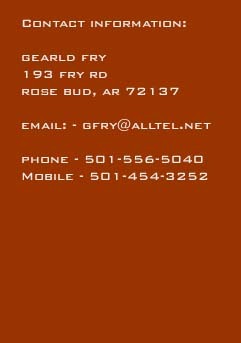 Call or email Gearld today with questions. You will not be disappointed wit these animals! 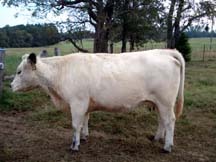 heifer calf st side bred back. 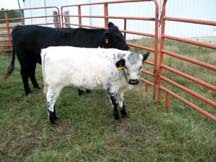 Bull calf my next herd bull. His mother and father are full brother and sister. 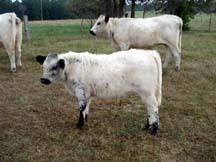 Heifer calf 4 months old. 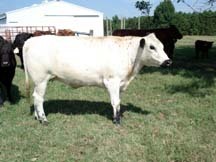 Half sister to my next herd bull calf. 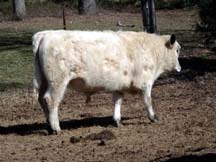 and half brother to all the cattle listed. cancer and I need to sell to pay bills. 3 year old. She is 80% grown.